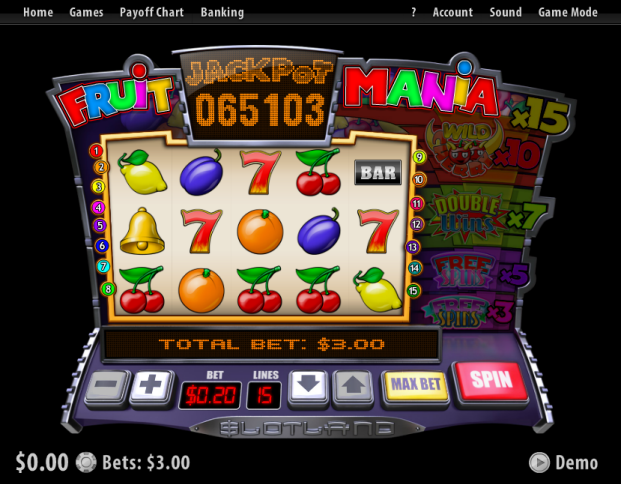 Overview: Fruit Mania is a classic video slot with 5 reels and 15 paylines. 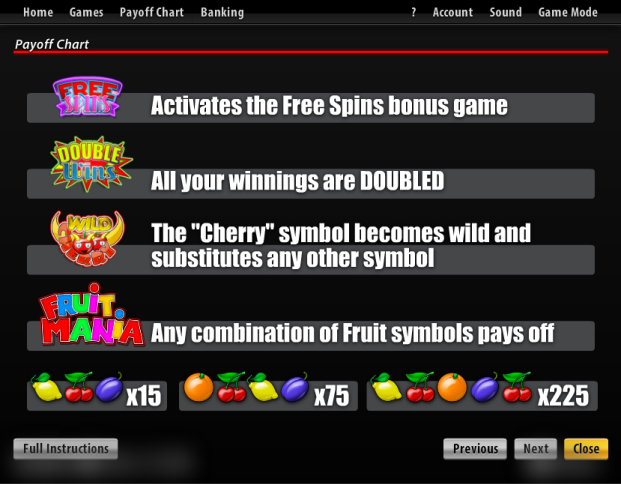 There are 5 amazing bonus features waiting for you on the Bonus Meter: 3 Free Spins, 5 Free Spins, Double Wins, Wild Cherry and Fruit Mania. 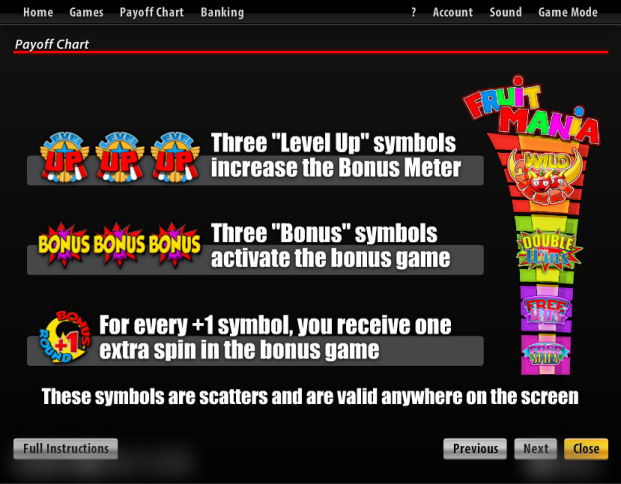 Three scatter Level Up symbols increase the Bonus Meter and three scatter Bonus symbols activate the bonus feature. 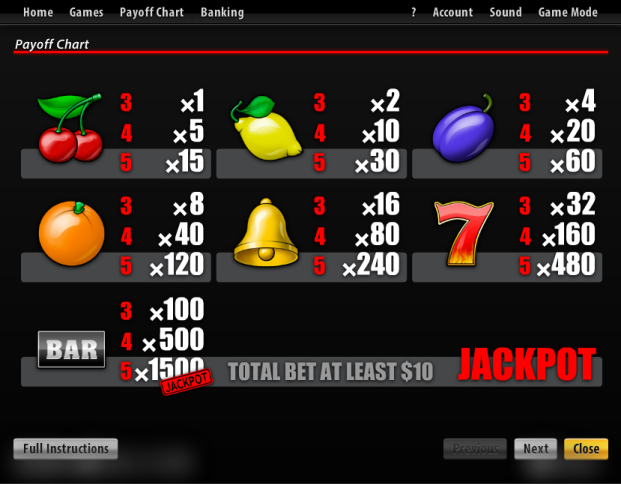 All bonus spins are FREE, which means you get to spin the reels and win real with tons of Free Spins! Similar Slots: If you like Fruit Mania, you might like these other slot machines from Slotland: Air Mail, Jewels of the Ancients, Treasure Box, Treasure Island.